15 Most Stunning Engagement Rings of All Time. . . There is nothing more exciting for women than to hear ‘Will you marry me?’ The excitement goes to another level when the proposal is followed by a gorgeous diamond ring. As the saying goes, diamonds are a girl’s best friend. We have put together a list of gorgeous engagement rings which your man definitely need to know before proposing you. 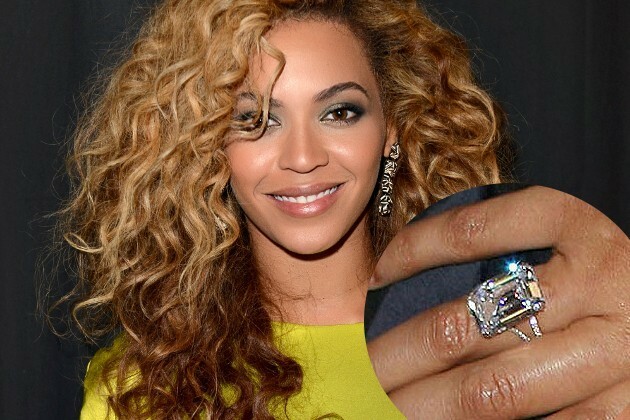 heightline.comThis impressive ring was given to Beyonce by Jay Z. The ring has 20 carats of diamond in it and its estimated price is around $5 million. 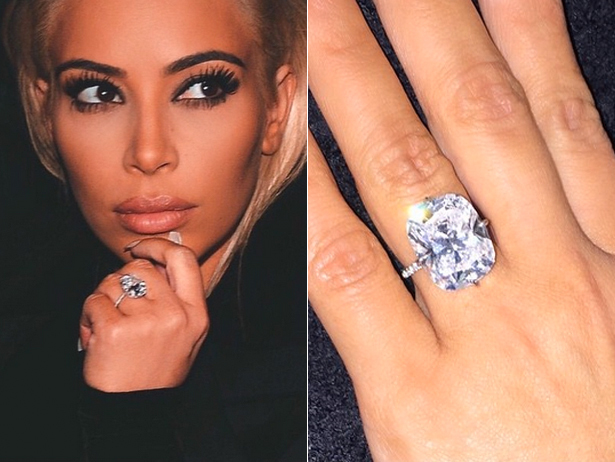 www.cutratediamonds.comOur most beautiful woman owns a unique 16 carats diamond ring which was gifted to her by Brad Pitt. According to the sources, it took Brad a year to design this ring for his lady love. Couple has now separated but we still cannot get over her classy ring. www.hellomagazine.comPrincess Diana had the most classic and iconic engagement ring which had 12 carat sapphire in it surrounded by diamonds. 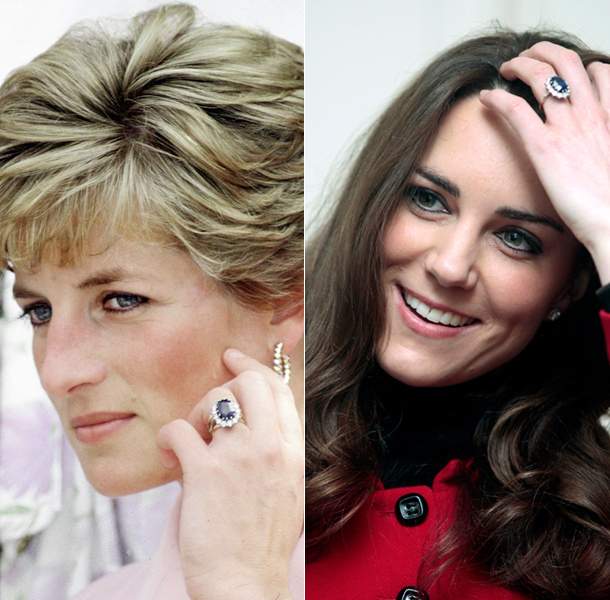 After Diana’s death, the ring was given to Kate Middleton by Prince William. www.vh1.comKim Kardashian has been ruling the hearts of many girls because of her stylish appearances. Here is another reason to look up at her and that is her 15 carats diamond ring which was given to her by Kanye West. 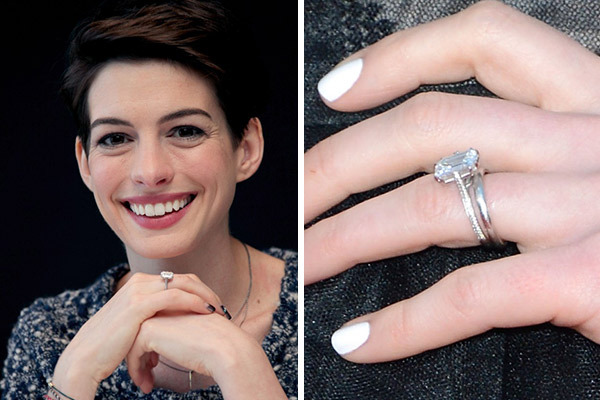 www.pinterest.comThis darling actor of Hollywood wears a huge 8 carat diamond ring on a thin gold band. 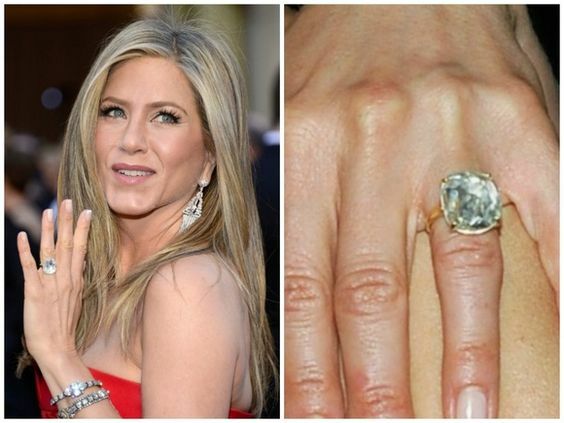 Jennifer is often seen flashing her ring on the red carpet. gleemco.wordpress.comVictoria has 13 breathtaking rings showered to her by her husband David Beckham throughout their marriage of many years. These include a 3 carat diamond ring, a 19 carat huge ring, a large emerald ring, a stunning blue sapphire and many others. 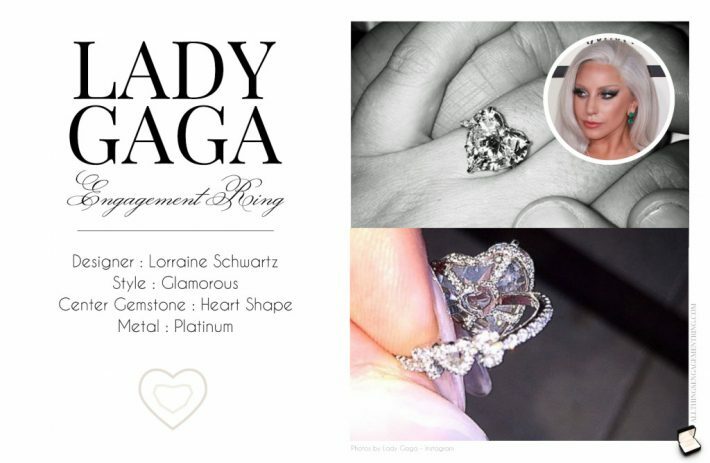 www.allthingsengagementring.comLady Gaga wear a cute heart shaped diamond ring which costs around $500,000. www.miadonnadiamondblog.comAnne wears has a classic six carat diamond ring which was designed by her fiance Adam Shulman. www.leibish.comAustralian cricketer Shane Warne proposed to Liz Hurley with a massive sapphire ring which is surrounded by diamonds on both sides. www.pinterest.comHalle has an incredible emerald ring fitted on a unique gold band. It is also surrounded by two little diamonds on either side. www.pinterest.comWe love Jessica’s simple ring which consists of 5 carat diamonds surrounded by a band with little diamonds. www.everafterguide.comRyan Reynolds proposed to Blake Lively with a light pink oval shaped diamond ring which cost him around $2 million. www.ritani.comMegan wears a radiant cut diamond ring set worth $80,000. www.thefashionspot.comAnna Kournikova owns a stunning pear shape pink diamond ring. 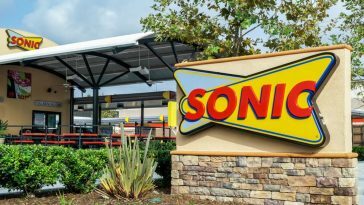 Estimated value of ring is said to be between $2 million to $6 million. 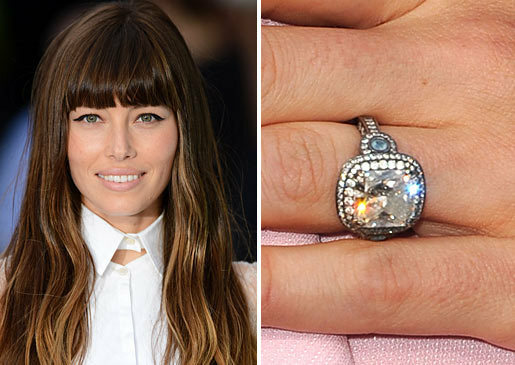 www.brilliantearth.comJessica Biel’s engagement ring is square cut shape having 6 carats of diamonds. Her ring is not only incredibly beautiful but also very expensive.